The Strathbogie Ranges and surrounds are well-trodden and there aren’t too many corners that are inaccessible, or remote. Yet, even in this popular part of Victoria, new discoveries are always just around the corner. The more one looks, the more one finds! Recently, Rob and Julie, two local naturalists, noticed some plants that they’d previously never seen in the Strathbogies. Whilst out walking in a popular part of the Strathbogie State Forest, near ‘Rocky Ned’, Rob found a plant superficially resembling Cassinia/Dogwood, but not quite the same. It has turned out to be a Star-hair (Astrotricha sp), a species not yet recorded from the Strathbogies (as far as I can tell). Star-hairs are unusual plants, more closely related to ivy (Hedera)and and pennywort (Hydrocotyle), than to daisy-shrubs, which they resemble. There were quite a few plants spread over the western slope of Rocky Ned peak, so the population appears secure in the short-term. Nearby, but a lot lower in the landscape, Rob & Julie found several seedlings of Forest Lomatia (Lomatia fraseri) growing near a track along Rocky Ned Ck, but wasn’t able to find any adult plants. When a small group went to have a closer look just after Christmas, we found an impressive stand of 8 m tall Forest Lomatias growing in the valley of Rocky Ned Ck, not far off the road. What a fantastic sight! Though not rare in Victoria, this species is obviously uncommon, and perhaps depleted, in the Strathbogies (given the large areas of wetter forest that were cleared for pine plantations in the 70’s). It appears that this stand has been previously recorded, though none of us locals new of it. These tall plants have an ancient feel about them, a bit like Waratahs, to which they are closely related. In fact, there are even Lomatia species in South America, a testament to the Gondwanan origins of this group of plants. Of course, we saw lots of other plants and animals on our walk, so I’ve included some pics of the Clustered Everlasting and Sacred Kingfisher – ‘cos they’re nice. I wonder what else is out there, ready to be (re)discovered. One of several smaller plants growing upslope of the mature stand. We have Tree Lomatia in the Peppermint – Mana gum tall moist forests of the Caveat Bush Reserve and the Yarck Flora Reserve at our end of the Strathbogie Ranges . They grow as tall as the blackwood trees to compete for light in moist gullies. 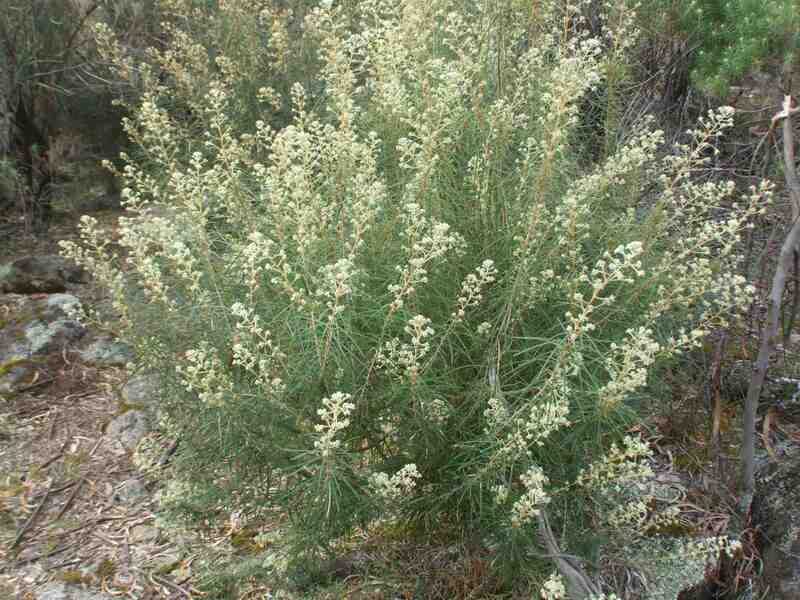 Usually found in the southern slope creek lines in company with prickly currant bush, hazel pomaderris and treeferns. Most are mature specimens reaching the end of their lives, remnants of a cooler wetter climate prehaps. I am surprised that you get Astrotricha species there. Here, they are a rainforest species.